University home > Services > Library > ad-lib > Need Some Exam Tips? Ask Lynda! Need Some Exam Tips? Ask Lynda! Looking for some more exam tips? 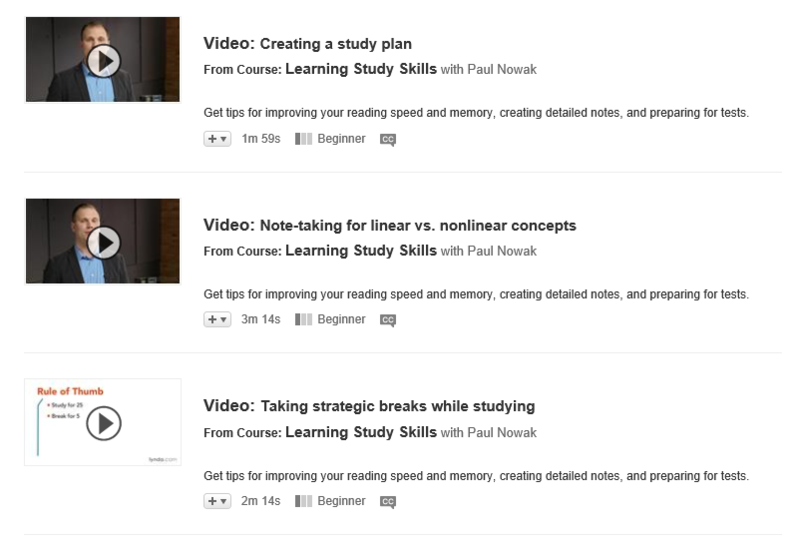 Why not try Lynda, our online learning platform, which has two video playlists specifically aimed at giving examination advice, as well a plethora of academic and learning advice and support. Lynda.com is a learning platform which has over 5000 video tutorials used to develop creative, software, technology and business skills for learning and teaching. Available to all students and staff, Loughborough University has purchased a subscription from Lynda.com to enhance your digital skills and personal development. To access Lynda, sign In at the top right of the page, click Sign in with your organization portal and simply enter ‘lboro.ac.uk’ in the box asking for your organisation URL. This will direct you to the Loughborough University sign-in page where you enter your University credentials. This entry was posted in Electronic resources, Lynda.com, Resources, Study Skills by Steven Lake. Bookmark the permalink.